For this hop we will be featuring the letter F. This may be the name of a paper, a stamp set or an embellishment. 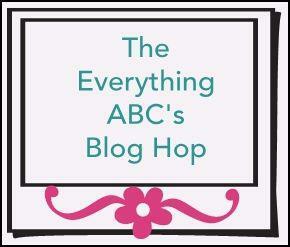 Whatever the crafter has chosen as their F element will be featured in their post. I used this photo last year on my blog and still had not scrapbooked it, so the photo may seem familiar! 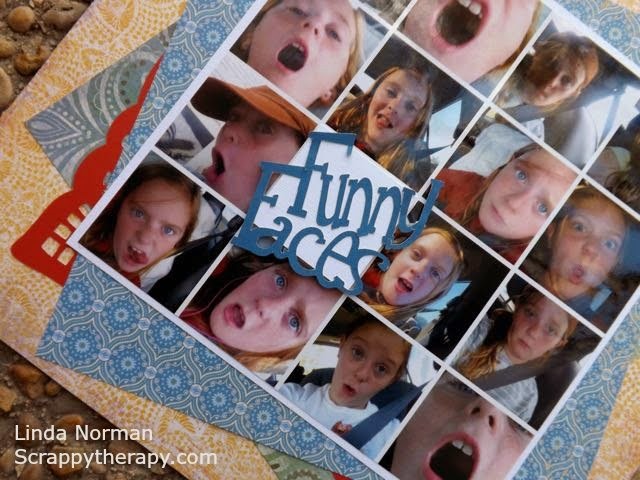 When trying to think of an F, I thought of faces or funny faces. 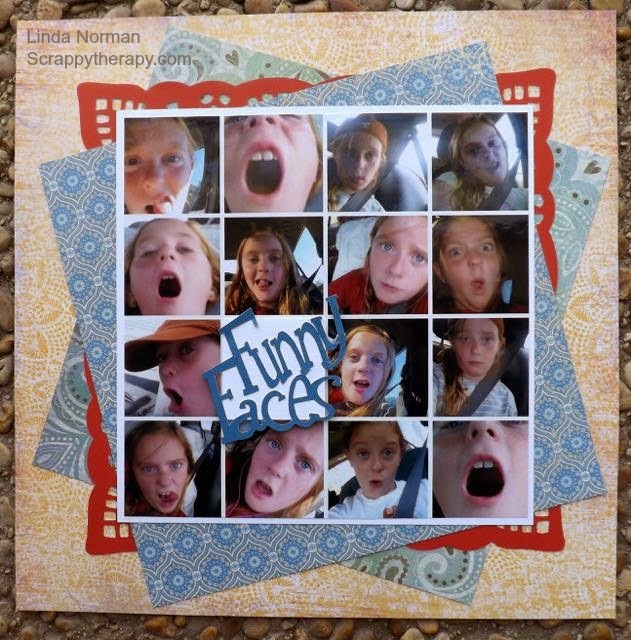 My daughter took all these selfies on our trip last summer and i made a collage out of them on Picmonkey and had it printed as an 8x8 photo. I found this scrapbook page on Pinterest and used it is inspiration for my page. Using the retired Jubilee paper and Art Philosophy Cricut Cartridge, I made my page! I just got an Explore and I have to say I have been astonished at how well it cuts! There were no little pieces of paper left in the shape I cut on the Explore even though it was pretty intricate! The Funky Faces was also cut using the Explore and I have no idea which font I used! I hope you enjoy hopping through the rest of the Fs! Great layout! I like the way to created a collage of all the faces. Super cute layout Linda! Love her funny faces! Love all the layers of paper!